Brendan Crossan: When will your backroom team be in place and what are you looking for in your backroom team? 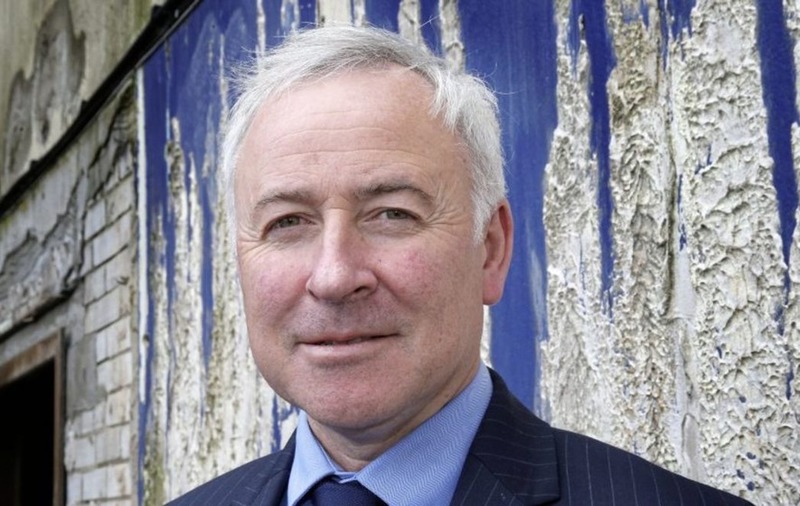 Lenny Harbinson: It will be in place very soon. Brendan Trainor, who helped me in Ballymacnab, is coming in as my assistant. 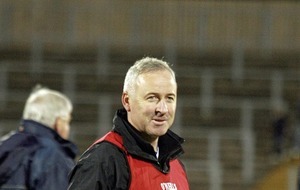 Brendan is from Augher and has worked with Tyrone development squads in the past. He has very good coaching pedigree. I’m delighted to have him on board because he thinks along similar lines as me and he’s a really good coach. What I’m looking for are strategic thinkers. I’ve lined up a strength and conditioning coach and a physio… I’m looking for somebody who’s going to link my vision with the schools and development squads and the senior squads so there is continuity right the way through. BC: How big is the Antrim job? LH: This is a five-to-10-year job, if truth be told. Although there has been a lot of work done with development squads – U15s, U16s and minors have done reasonably well - we need to continue with that work and continue to build on it and develop those players. Dublin won the All-Ireland this year and if you look at the last two or three years they’ve been seamlessly bringing in players from their U21s. It’s important to have that plan in place to develop young players. BC: What’s the biggest challenge? LH: A lot of things are built on confidence and that comes from winning. My challenge is to hit the ground running, get everybody in the panel organised to a degree where we compete on a regular basis and by competing, that means winning games, and that builds momentum. That has to happen very quickly. BC: When do you expect to hold trials? LH: I have a whole schedule of trials outlined for this month, actually next weekend. 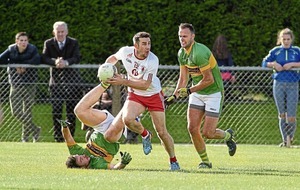 We will conduct two trials in the south-west, two trials in south Antrim and from those four games we will bring a trial panel together to play last year’s senior football panel. From that we will determine who goes forward to the McKenna Cup and the early stages of the National League. BC: You talked about having pride to play for your county but there is still apathy out there regarding the Antrim football squad and the club-county relationships probably need a wee bit more nurturing. Do you think it’s aspirational for young players to play for Antrim? LH: There is a bit of work to be done from a PR point of view. Behind the scenes there is work going on at schools level and development squads and minors. A lot more work is required. 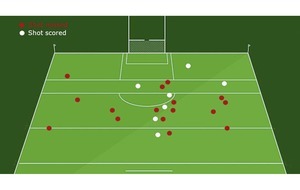 Your senior teams – whether in hurling or football – is your shop window and they have to start competing, start winning. It’s imperative over the next couple of years we get out of Division Four and get promoted to Division Three and slowly but surely work our way up the leagues so we’re playing a better standard of football, which allows you then to compete at Championship level. Also, it’s very important to give young players a vision and an aspiration of playing at Casement Park. It’s important those plans get passed because it’s going to be an iconic stadium. For any youngster coming down from the south west to play a club match in Belfast and drives past it, or indeed any youngster in Belfast, that’s somewhere they will want to play. BC: Is it important the county teams are doing well with a new Casement Park on the horizon? LH: All the work being done at development level has to continue and has to be accelerated, in conjunction with the senior team doing well and getting promoted and with a vision of wanting to play in Casement Park in a number of years time in an Ulster final. That’s a big part of the vision. There are a lot of people behind the scenes who are committed from an administrative point of view, from a fund-raising point of view and also from a coaching point of view. BC: While you were being interviewed by the county board [Football Review Committee], did you need to be encouraged by them in terms of what you needed to see happening? LH: Yes, what’s happening behind the scenes has to be important. Being an Antrim man, living in Antrim and reading the media you did get an idea of the momentum that’s being built. It’s not going to be easy, it’s not going to happen overnight, it’s a long-term project over the next five or 10 years but you’ve got to start somewhere. BC: You know Antrim football really well. What do you think of the calibre of player in the county? LH: I’ve always believed that Antrim can compete with the best. It’s like any county – you go through peaks and troughs. In certain generations there are better players than maybe the previous generations… but for me it’s about getting the best talent within the county on the field. The second stage is getting highly organised and spend a lot of time coaching. Getting teams fit is the easy part; getting them organised and getting them to understand the game is crucially important. If we can get these things in place: coaching structure, fitness, the right people on the pitch, there is no reason why we can’t compete with the best. BC: How important is getting out of Division Four in your first season? LH: When you look at the teams in the division, Carlow had a fantastic Championship run. 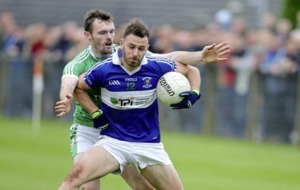 Laois have fallen back into Division Four but are always a formidable team. 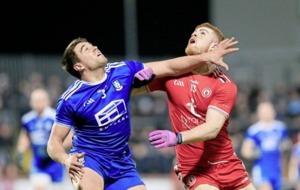 If you play Limerick in Limerick they are always a big strong team… So the level, I think, is going to be very even in Division Four. There will be a number of teams who will compete to get promoted. How many home games will you have and how many away games will you have? And it’s trying to manage those away games in terms of logistics, sleeping in a different bed, eating out of a hotel – small things like that can have an impact. BC: There is a good nucleus of young players already there. How important is it that none of them slip through the net? LH: We will look at the talent that is out there playing and monitor how they’re doing. There will be other youngsters who are going to university and we need to keep an eye on their progress because that’s a very good breeding ground for county. And for the players who don’t initially make the first panel, part of my vision is that we have a monitoring system in place. We will have a number of people in Antrim who will monitor maybe 10 or 12 players, and grade and mark them. I suppose the message I’d be sending to them is: We haven’t forgotten about you. The panel will be open. If they’re improving then they’ll be called into the panel. BC: With social media nowadays everyone is a critic. You’ll find that more and more in this role. What’s your view? LH: Keyboard warriors, I think, people call them (laughs). I don’t read a lot of social media but at times they might come out with some valid comments. Other times it is quite negative. They don’t know what’s going on behind the scenes and the work that will be put in. All I know, all the teams I’ve managed and the players I’ve managed nobody goes out to fail, nobody goes out to under-perform. We just have to live with social media. BC: Some players have retired recently. Are there any particular players you would consider calling on? LH: If some of those players who have stepped away from Antrim and are playing club football at a high level and playing well, I don’t see any problem of sitting down with someone and asking them what their feelings are about returning to the county. As I’ve said, it’s important that we get the best players on the field. But I can’t force them. They’ll have to want to give it another go. I’ve got to go with the committed bunch that’s going to be there. BC: Do you miss your playing days? LH: Yes. I’d love to be playing today, absolutely. It’s more organised, better tactics, more analysis, players are treated better. Playing is far, far better than managing. BC: You played 12 years with Antrim? What were those days like? LH: I actually remember Brother Ennis was manager of Antrim when he called me into the panel, aged 17. We played Armagh in the McKenna Cup in Newry and I remember Kevin Gough scored a fantastic goal in the last few minutes to win the game. And I remember sitting on the bus on the way back from Newry thinking, ‘this is great’. But there weren’t too many more days like that. BC: Did you enjoy those days? 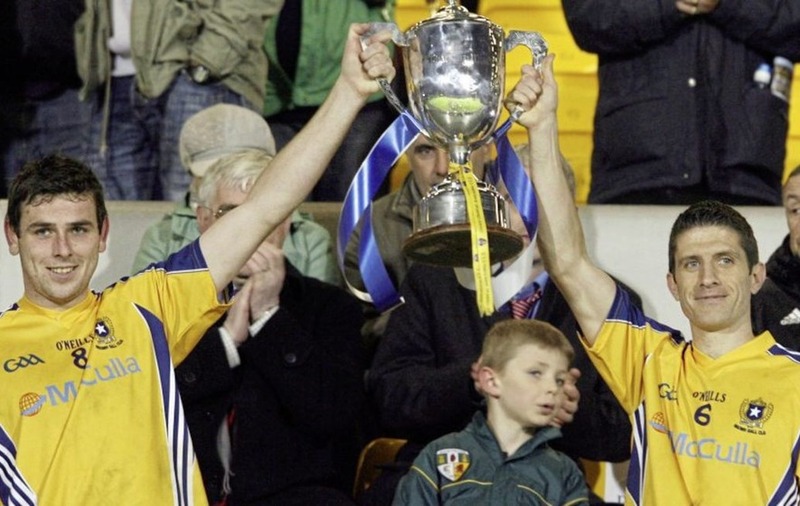 I know Antrim were in the lower divisions for most of that time… Do you have regrets? LH: When you reflect back you always feel you could have done better, personally, in terms of your preparation, working on your skills. You always ask yourself: Was I the best I could have been? Could I have done more? And the truthful answer to that is: Yes, I could’ve done more. BC: What is the best thing about managing teams? Why do you do it? LH: I like dealing with young people and seeing their enthusiasm. That’s very heartening and also whenever you start planning and seeing your plans developing and seeing results, that’s very satisfying. BC: You always wanted to do this job. Did you ever envisage you would do it? LH: At different stages I did but maybe not right here and now. I don’t think there is a perfect time. You’ve just got to take the moment and the moment has come around. I’m probably like a lot of people - I’m a frustrated supporter down through the years. Now I want to do something about it along with the backroom team and the players and hopefully we can do something. BC: What was the secret in guiding St Gall’s to the 2010 All-Ireland final? LH: I took the job in 2009, going into 2010. Basically, they had a nucleus of a very, very good team. We had lots of guys with county experience – the two Gallaghers [Ronan and Rory] from Fermanagh and lots of guys from Antrim. They had won a number of Antrim Championships and they had competed in the Ulster Championship. So they had experience, plus good footballers. To get them over the line, there was just a wee bit more organisation. I tweaked things. We didn’t start training until later in the year – June/July time – to try and keep the players fresh. We tried to peak for an Antrim final and then reset. Just small tweaks: when we trained, where we trained and how we trained. We trained hard and we spent a lot of time on our shooting. BC: Was winning the All-Ireland on St Patrick’s Day the best day you had with St Gall’s? LH: It was a very enjoyable day. I enjoyed the Antrim championships as well. Those titles were close to your heart. It’s funny, in a perverse sort of way, you always remember the days when you don’t win. I can remember more about the following year  and losing a game to Crossmaglen than what I remember the previous year in Croke Park. BC: What’s been the steepest learning curve for you in your managerial career? LH: I challenged myself after St Gall’s. 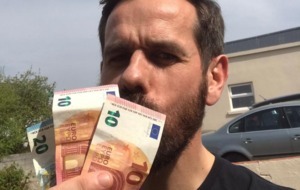 I worked out of Dublin for a few years and I did a bit of coaching with Dundalk Gaels and over the last couple of years I’ve been involved with Ballymacnab. There are great people involved in those clubs. I didn’t have 14 or 15 county players, so the challenge at those clubs was trying to maximise the resources you had – and that’s when you have to step up as a coach and learn new things and challenge yourself. I was very lucky because the players in those teams were very willing to learn. BC: What was your time like at Ballymacnab? LH: It was very rewarding, a great club, great people and the playing group themselves just wanted to learn so much. Brendan Trainor went along that journey with me. We played a lot of league games with key players missing through injury and county commitments, so we had to learn a lot in trying to compete with limited resources. BC: When do you expect to have a panel assembled? LH: Around the second week in November when all the trials are conducted I’ll have a panel ready to start training. So far, I’ve had a number of meetings with county board officials, I’ve met with some people who previously worked with Antrim to get their views on what worked, what didn’t work. Both Brendan [Trainor] and I have a schedule of matches to attend, so there’s a lot of activity under the surface in advance of full training of a new panel in mid-November. BC: Who was the best player you played with? LH: (Pause) There was a guy called Declan Muldoon from Tyrone who had everything and unfortunately got a bad injury. I played with him at the ‘Ranch [St Mary’s] and he played for Tyrone when I was playing with Antrim. BC: Who was your biggest influence on your playing and managerial careers? LH: I suppose the boys in St Gall’s – the likes of PJ O’Hare and a few others who came from a basketball background. We tried to play a stylish brand of football, possession football. BC: Your worst moment in football? LH: Losing to Crossmaglen in the Ulster Club the year after St Gall’s had won the All-Ireland. Had we actually got over that hurdle I think we would have got back to the All-Ireland again. That was the worst moment. The previous year, we didn’t have any injuries. That year, Kevin [McGourty] hurt his back, Sean Burke had a bad back, Sean Kelly and Terry O’Neill were sick on the bus on the way to the game, which was only down the road. All those tiny things. They scored their penalty and we missed ours. We didn’t perform the way I knew we could. BC: Was winning the All-Ireland Club in 2010 the best feeling you’ve experienced in football? LH: No. Winning the 1979 minor championship because St Gall’s came from Division Two to win it. That was our first major trophy. BC: Who was the best player you played against? LH: I played against Tony Scullion a couple of times. He was a very difficult opponent. Tony was hard, but fair. BC: Do you enjoy watching the modern game? LH: Give me the modern game any day compared to the old games you see on TG4. Some of those old games were terrible. The fitness levels might have been good but they couldn’t kick the ball. Technically, everybody knows more about the game now. There is skilled defending as well as attacking. The whole defensive criticism of the modern game has been blown out of all proportion because there’s a skill and an art in being defensively organised. The game has evolved to the point where there’s almost a basketball structure as to how you break defences down. Today’s game is massively better; the players are fitter and more tuned into the tactical side of the game.